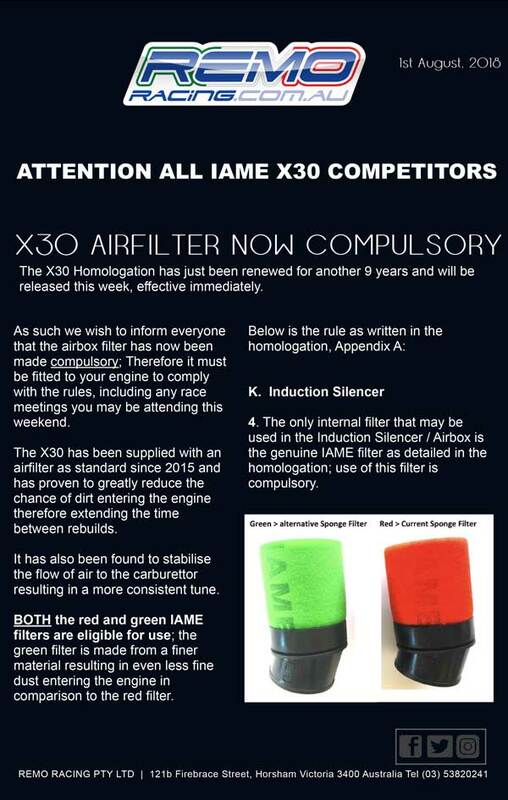 Remo Racing has advised that the use of an air filter, which has been supplied with new X30 engines since 2015, is now mandatory. Also, as of 1 August 2018, the engine has been re-homologated for KA use for another nine years. The homologation/technical specifications document can be downloaded from the KA website HERE.